Citation Information: JCI Insight. 2017;2(23):e95103. 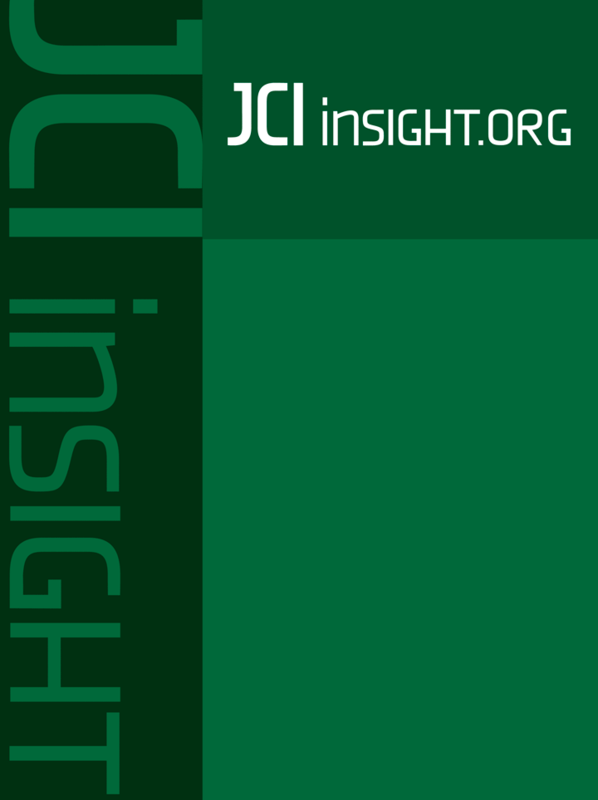 https://doi.org/10.1172/jci.insight.95103. Adoptive immunotherapies using T cells genetically redirected with a chimeric antigen receptor (CAR) or T cell receptor (TCR) are entering mainstream clinical practice. Despite encouraging results, some patients do not respond to current therapies. In part, this phenomenon has been associated with infusion of reduced numbers of early memory T cells. Herein, we report that AKT signaling inhibition is compatible with CAR and TCR retroviral transduction of human T cells while promoting a CD62L-expressing central memory phenotype. Critically, this intervention did not compromise cell yield. Mechanistically, disruption of AKT signaling preserved MAPK activation and promoted the intranuclear localization of FOXO1, a transcriptional regulator of T cell memory. Consequently, AKT signaling inhibition synchronized the transcriptional profile for FOXO1-dependent target genes across multiple donors. Expression of an AKT-resistant FOXO1 mutant phenocopied the influence of AKT signaling inhibition, while addition of AKT signaling inhibition to T cells expressing mutant FOXO1 failed to further augment the frequency of CD62L-expressing cells. Finally, treatment of established B cell acute lymphoblastic leukemia was superior using anti-CD19 CAR–modified T cells transduced and expanded in the presence of an AKT inhibitor compared with conventionally grown T cells. Thus, inhibition of signaling along the PI3K/AKT axis represents a generalizable strategy to generate large numbers of receptor-modified T cells with an early memory phenotype and superior antitumor efficacy. Citation Information: JCI Insight. 2017;2(23):e95128. https://doi.org/10.1172/jci.insight.95128. NK cell activation has been shown to be metabolically regulated in vitro; however, the role of metabolism during in vivo NK cell responses to infection is unknown. We examined the role of glycolysis in NK cell function during murine cytomegalovirus (MCMV) infection and the ability of IL-15 to prime NK cells during CMV infection. The glucose metabolism inhibitor 2-deoxy-ᴅ-glucose (2DG) impaired both mouse and human NK cell cytotoxicity following priming in vitro. Similarly, MCMV-infected mice treated with 2DG had impaired clearance of NK-specific targets in vivo, which was associated with higher viral burden and susceptibility to infection on the C57BL/6 background. IL-15 priming is known to alter NK cell metabolism and metabolic requirements for activation. Treatment with the IL-15 superagonist ALT-803 rescued mice from otherwise lethal infection in an NK-dependent manner. Consistent with this, treatment of a patient with ALT-803 for recurrent CMV reactivation after hematopoietic cell transplant was associated with clearance of viremia. These studies demonstrate that NK cell–mediated control of viral infection requires glucose metabolism and that IL-15 treatment in vivo can reduce this requirement and may be effective as an antiviral therapy. Citation Information: JCI Insight. 2017;2(23):e95665. https://doi.org/10.1172/jci.insight.95665. Citation Information: JCI Insight. 2017;2(23):e95692. https://doi.org/10.1172/jci.insight.95692. The ability of Tregs to control the development of immune responses is essential for maintaining immune system homeostasis. However, Tregs also inhibit the development of efficient antitumor responses. Here, we explored the characteristics and mechanistic basis of the Treg-intrinsic CTLA4/PKCη signaling pathway that we recently found to be required for contact-dependent Treg-mediated suppression. We show that PKCη is required for the Treg-mediated suppression of tumor immunity in vivo. The presence of PKCη-deficient (Prkch–/–) Tregs in the tumor microenvironment was associated with a significantly increased expression of the costimulatory molecule CD86 on intratumoral CD103+ DCs, enhanced priming of antigen-specific CD8+ T cells, and greater levels of effector cytokines produced by these cells. Similar to mouse Tregs, the GIT/PAK/PIX complex also operated downstream of CTLA4 and PKCη in human Tregs, and GIT2 knockdown in Tregs promoted antitumor immunity. Collectively, our data suggest that targeting the CTLA4/PKCη/GIT/PAK/PIX signaling pathway in Tregs could represent a novel immunotherapeutic strategy to alleviate the negative impact of Tregs on antitumor immune responses. Citation Information: JCI Insight. 2017;2(23):e95992. https://doi.org/10.1172/jci.insight.95992. Compared with persons of European descent (ED), persons of African descent (AD) have lower aldosterone (ALDO) levels, with the assumption being that the increased cardiovascular disease (CVD) risk associated with AD is not related to ALDO. However, the appropriateness of the ALDO levels for the volume status in AD is unclear. We hypothesized that, even though ALDO levels are lower in AD, they are inappropriately increased, and therefore, ALDO could mediate the increased CVD in AD. To test this hypothesis, we analyzed data from HyperPATH — 1,788 individuals from the total cohort and 765 restricted to ED-to-AD in a 2:1 match and genotyped for the endothelin-1 gene (EDN1). Linear regression analyses with adjustments were performed. In the total and restricted cohorts, PRA, ALDO, and urinary potassium levels were significantly lower in AD. However, in the AD group, greater ALDO dysregulation was present as evidenced by higher ALDO/plasma renin activity (PRA) ratios (ARR) and sodium-modulated ALDO suppression-to-stimulation indices. Furthermore, EDN1 minor allele carriers had significantly greater ARRs than noncarriers but only in the AD group. ARR levels were modulated by a significant interaction between EDN1 and AD. Thus, EDN1 variants may identify particularly susceptible ADs who will be responsive to treatment targeting ALDO-dependent pathways (e.g., mineralocorticoid-receptor antagonists). Citation Information: JCI Insight. 2017;2(23):e96432. https://doi.org/10.1172/jci.insight.96432. Sepsis-associated acute respiratory distress syndrome (ARDS) is characterized by neutrophilic inflammation and poor survival. Since neutrophil myeloperoxidase (MPO) activity leads to increased plasma 2-chlorofatty acid (2-ClFA) levels, we hypothesized that plasma concentrations of 2-ClFAs would associate with ARDS and mortality in subjects with sepsis. In sequential consenting patients with sepsis, free 2-ClFA levels were significantly associated with ARDS, and with 30-day mortality, for each log increase in free 2-chlorostearic acid. Plasma MPO was not associated with either ARDS or 30-day mortality but was correlated with 2-ClFA levels. Addition of plasma 2-ClFA levels to the APACHE III score improved prediction for ARDS. Plasma 2-ClFA levels correlated with plasma levels of angiopoietin-2, E selectin, and soluble thrombomodulin. Endothelial cells treated with 2-ClFA responded with increased adhesion molecule surface expression, increased angiopoietin-2 release, and dose-dependent endothelial permeability. Our results suggest that 2-ClFAs derived from neutrophil MPO-catalyzed oxidation contribute to pulmonary endothelial injury and have prognostic utility in sepsis-associated ARDS. Citation Information: JCI Insight. 2017;2(23):e96728. https://doi.org/10.1172/jci.insight.96728. The role of PI3K in leptin physiology has been difficult to determine due to its actions downstream of several metabolic cues, including insulin. Here, we used a series of mouse models to dissociate the roles of specific PI3K catalytic subunits and of insulin receptor (InsR) downstream of leptin signaling. We show that disruption of p110α and p110β subunits in leptin receptor cells (LRΔα+β) produces a lean phenotype associated with increased energy expenditure, locomotor activity, and thermogenesis. LRΔα+β mice have deficient growth and delayed puberty. Single subunit deletion (i.e., p110α in LRΔα) resulted in similarly increased energy expenditure, deficient growth, and pubertal development, but LRΔα mice have normal locomotor activity and thermogenesis. Blunted PI3K in leptin receptor (LR) cells enhanced leptin sensitivity in metabolic regulation due to increased basal hypothalamic pAKT, leptin-induced pSTAT3, and decreased PTEN levels. However, these mice are unresponsive to leptin’s effects on growth and puberty. We further assessed if these phenotypes were associated with disruption of insulin signaling. LRΔInsR mice have no metabolic or growth deficit and show only mild delay in pubertal completion. Our findings demonstrate that PI3K in LR cells plays an essential role in energy expenditure, growth, and reproduction. These actions are independent from insulin signaling. Citation Information: JCI Insight. 2017;2(23):e96882. https://doi.org/10.1172/jci.insight.96882. Neutrophils contribute to demyelinating autoimmune diseases, yet their phenotype and functions have been elusive to date. Here, we demonstrate that ICAM1 surface expression distinguishes extra- from intravascular neutrophils in the mouse CNS during experimental autoimmune encephalomyelitis (EAE). Transcriptomic analysis of these 2 subpopulations indicated that neutrophils, once extravasated, acquire macrophage-like properties, including the potential for immunostimulation and MHC class II–mediated antigen presentation. In corroboration, super-resolution (3D stimulated emission-depletion [STED]) microscopy revealed neutrophils forming synapses with T and B cells in situ. Further, neutrophils specifically express the aspartic retroviral-like protease ASPRV1, which increases in the CNS during EAE and severe cases of multiple sclerosis. Without ASPRV1, mice immunized with a new B cell–dependent myelin antigen (but not with the traditional myelin oligodendrocyte glycoprotein peptide) develop a chronic phase of EAE that is less severe and even completely fades in many individuals. Therefore, ICAM1+ macrophage–like neutrophils can play both shared and nonredundant roles in autoimmune demyelination, among them perpetuating inflammation via ASPRV1. Citation Information: JCI Insight. 2017;2(23):e97128. https://doi.org/10.1172/jci.insight.97128. Primary and secondary hypertension are major risk factors for cardiovascular disease, the leading cause of death worldwide. Elevated secretion of aldosterone resulting from primary aldosteronism (PA) is a key driver of secondary hypertension. Here, we report an unexpected role for the ubiquitin ligase Siah1 in adrenal gland development and PA. Siah1a–/– mice exhibit altered adrenal gland morphology, as reflected by a diminished X-zone, enlarged medulla, and dysregulated zonation of the glomerulosa as well as increased aldosterone levels and aldosterone target gene expression and reduced plasma potassium levels. Genes involved in catecholamine biosynthesis and cAMP signaling are upregulated in the adrenal glands of Siah1a–/– mice, while genes related to retinoic acid signaling and cholesterol biosynthesis are downregulated. Loss of Siah1 leads to increased expression of the Siah1 substrate PIAS1, an E3 SUMO protein ligase implicated in the suppression of LXR, a key regulator of cholesterol levels in the adrenal gland. In addition, SIAH1 sequence variants were identified in patients with PA; such variants impaired SIAH1 ubiquitin ligase activity, resulting in elevated PIAS1 expression. These data identify a role for the Siah1-PIAS1 axis in adrenal gland organization and function and point to possible therapeutic targets for hyperaldosteronism.